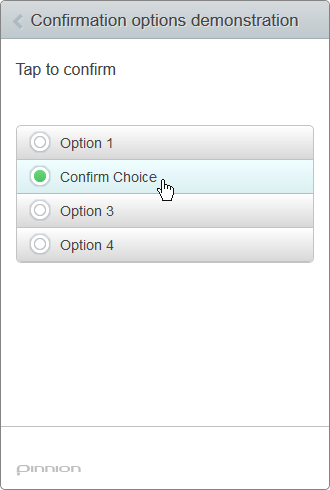 How do your surveys look on non-PC devices? You might want to check that. If you’re still sending surveys designed for desktop PCs, your potential respondents are seeing them on their smartphones and tablets. Their experience isn’t pretty — and its expensive for you: The panel you paid for isn’t delivering results. We refreshed our website yesterday. We’re pretty pleased with the new look. We’re even more pleased with the new content. In the last few months, we’ve been pleasantly surprised to note customer’s reactions to Pinnion. Founded as a straightforward market research authoring, distribution and measurement tool, Pinnion is being increasingly seen by customers and potential customers as a feedback mechanism for all kinds of different uses. As you can see under the “Pinnion Uses” tab, Pinnion is now being used for Lead Acquisition and Qualification, supplying elementary through post-graduate quizzes and a host of other scenarios. And we’re still pretty good at market research. Thanks for visiting our blog. Take a spin around the rest of our site and let us know what you think. Off the smaller topic, but dead center on the bigger one: The technology universe that we increasingly live in. One of the back stories of the current NSA eavesdropping news is the ever expanding omniscience of technology: It’s nearly everywhere we’re conscious of and, as we’re discovering, in many places we’re unaware of as well, for good and for bad. In that vein, hats off to Apple for their presentation at WWDC today. Even without Mr. Jobs, they remain masters of the new technology event. They’ve gotten the opportunity to remain masters by delivering much more than a good show. Though we haven’t had a chance to do much more than skate the surface of the announcements (we DO have day, and often night, jobs trying to rock our own little portion of the technology world), what we’ve seen convinces us that they’ve moved the ball forward in big and small ways. Whether or not you use Apple products, you’ll be affected by what was announced today, becausethe rest of the industry will move in response to what Apple does. And, with extremely rare exceptions, what Apple does is not only good for Apple and for its users. It’s good for everyone that gets touched by nearly any aspect of technology. So, a warm congratulations to Mr. Cook and Co for, once again, bringing the game-changing good, and delivered in such a lovely package too! The trend is undeniable. 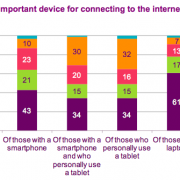 Overall web access is moving mobile. 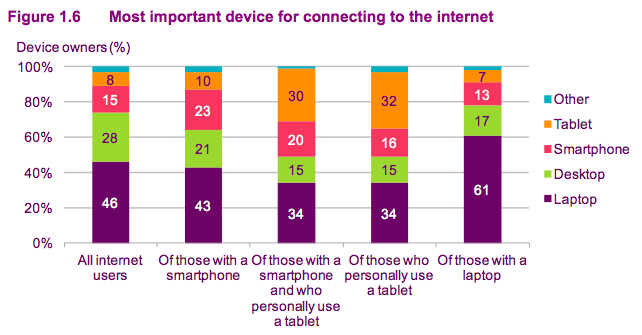 More and more people, particularly young people, are using their phones as their only access to the web and email. Which means if you’re sending them surveys, they’re seeing them on their phone. Whether or not your survey are designed for phones, that’s where they’re being seen. Take a look these two examples. On the left, from, ahem, a well known survey provider. 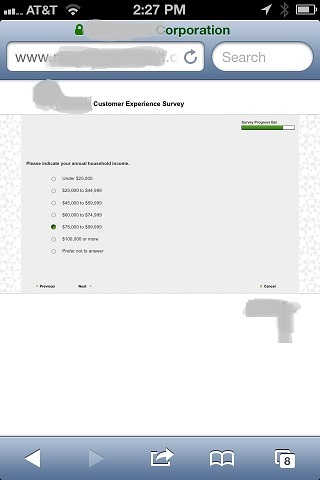 The typical survey designed to be viewed on a typical web browser. On a PC. Do you want your respondents to see that? Do you want your client to see that? On the right from, ahem, us. What you could look like on mobile. 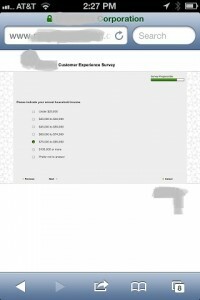 On a phone, web surveys just break down. Matrixes? Forget about it. 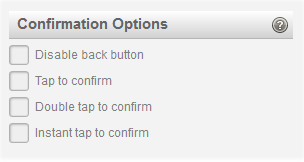 Even simple lists and survey controls are hard enough to use that abandonment rates are skyrocketing. Have you checked your metrics lately? 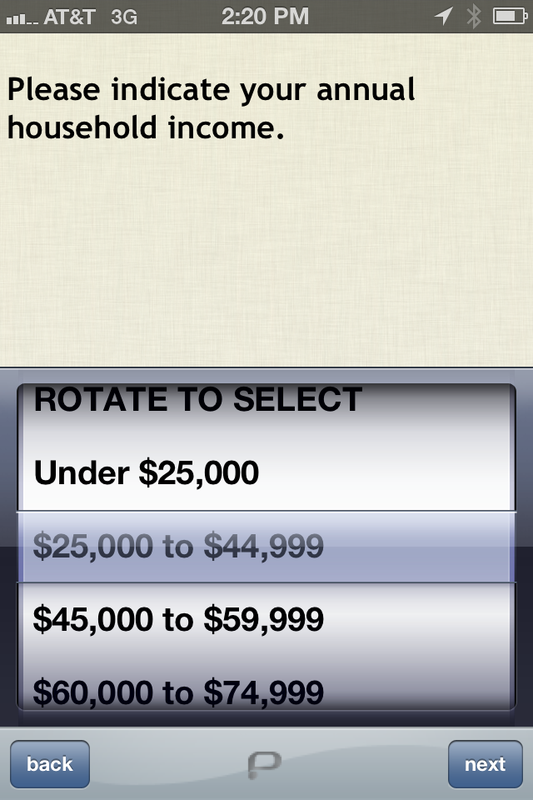 Most survey providers let you know what devices your surveys are being viewed on. Notice a lot of mobile views? Notice a lot of mobile completes? I didn’t think so. Mobile is a new world. But its not free. If you want mobile responses, (and, believe me, you want mobile respones) you need to field mobile surveys. Pinnion is super-focused on two things: Making the authoring experience easier and faster, and making surveys look great, on any device. But there is even more to making your surveys successful – being completed – than just great looking surveys completed efficiently. How you present your survey makes a big difference as well. So we offer the first of a series of posts in making sure that your respondents give you what you need. Oversharing on Facebook and twitter to the contrary – folks can be reluctant to share their information with strangers. If you want the type, and volume, of responses that can make a meaningful difference in your business, you need to consider the following ideas about your survey. Why Should I? What’s in it for your respondents to fill out the survey? Sure, you want the info. But what do they get out of it? Many respondents are satisfied with the vague sense of ‘being heard’ and ‘making their opinion count.’ You can make that point meaningful by including the following type of text in your survey. Make it easy for me. Market researchers have been interrupting respondents for decades. It’s a almost staple joke on the stand-up circuit. You can stop interrupting your respondents by giving them more control over where and when they answer your questions. That remarkable little phone/computer/camera that’s with them all the time? That’s a great place to start. Almost $100 Billion of app sales tells us that folks like doing things on their phones. Why don’t you make your survey one of them? Better yet, back it up. Create some space on your site for showcasing customer feedback – and how it’s changed how you do business. Create the formula My Voice + Their Ear = Positive Action. Most people want to be part of positive change: It makes them feel heard and it makes them part of something better. You can give your respondents that opportunity. They’ll repay you with enthusiastic completes.